Because licensing art is a commercial venture, art for products need to be popular with a large number of consumers. If artists create art with themes they like but may not be popular with consumers, the likely hood in licensing the art is slim. The problem is that they first created the art and then try to figure out what product it should go on. That is backwards thinking! A better strategy is to first think about the product and then figure out what theme (image) sells best for that product before creating the art. All themes are not popular for all products. Flowers, birds and butterflies seem to be a fit for most products. But, elephants, grizzly bears, and other wildlife have a more limited appeal. And, snakes have almost no appeal with the exception of a few products in small niche markets. 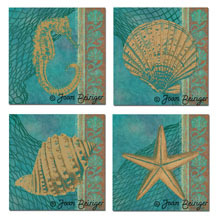 You should choose one or two industries to first start licensing your art to. You need to study that industry and determine what art themes, colors, and art styles are being licensed. And then, create the appropriate art for the products. 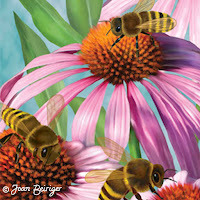 For instance, many artists start licensing their art to the greeting card industry. It is huge, has many manufacturers, and uses a large variety of art styles and themes so it is easier to get licensing deals than other industries. The number one category for cards is birthdays. 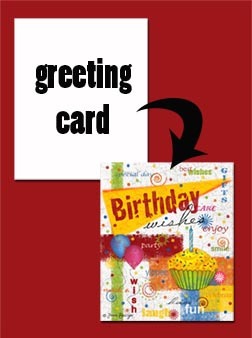 Visit retail chain and gift stores and search manufacturer websites to see what images are used for birthdays. Read designer Kate Harper articles "Greeting Card Business: 101" for information on designing cards and check out the side bar on her blog for links to other useful greeting card articles. Note: What industry you choose depends on your art style and may not be for greeting cards. If you are a surface designer and create patterns, of course you should first choose the fabric industry. Below is a list of articles about different industries that license art. The articles discuss what kind of art manufactures expect from artists and includes links to some websites. • "Licensing Art to the Calendar Industry"
• "Licensing Art for Cloth Products"
• "Licensing Art for Coffee Mugs"
• "Licensing Art to the Greeting Card Industry"
• "Licensing Art to the Flag Industry"
• "Licensing Art to the Jigsaw Puzzle Industry"
• "Licensing Designs to the Melamine / Acrylic Tabletop Industry"
• "Licensing Designs to the Quilt & Craft Fabric Industries"
• "Licensing Art to the Paper Partyware Industry"
• "Licensing Art to Print Manufacturers"
• "Licensing Designs to the Scrapbooking Industry"